What makes an Amazon Bestselling Novel? Doesn't it seem crazy how some books leap to the top of Amazon's bestseller ranking and others stay somewhere around 75,000? I've studied hundreds (maybe thousands) of books on Amazon.com, and have come to the same conclusion as many other great authors and publishers. There are four basic ingredients to success in the cyber world of the Amazon Bookstore. 1. Good cover that sparks interest and/or emotion. The cover is your hook. Before title, before craft, before all those weeks, months and years you’ve spent perfecting the story. Your cover art will most often determine whether a potential readers skims past, or clicks your book thumbnail to read more. So what makes a good cover? I won’t list everything here, but in my opinion one of the most important jobs of a successful book cover is to spark interest or emotion. Skim the top books in your favorite categories on Amazon.com and you’ll see what I mean. As you can imagine, developing an amazing book cover is not easy. If you’re traditionally published, you may have little say in the outcome. But I would encourage you to make every effort possible to ensure your cover will stir the emotion that draws your target reader. 2. Good product description (back cover blurb) that shows interesting characters, a great story, and plenty of tension. Spend focused time on this blurb. Run it through your critique group. 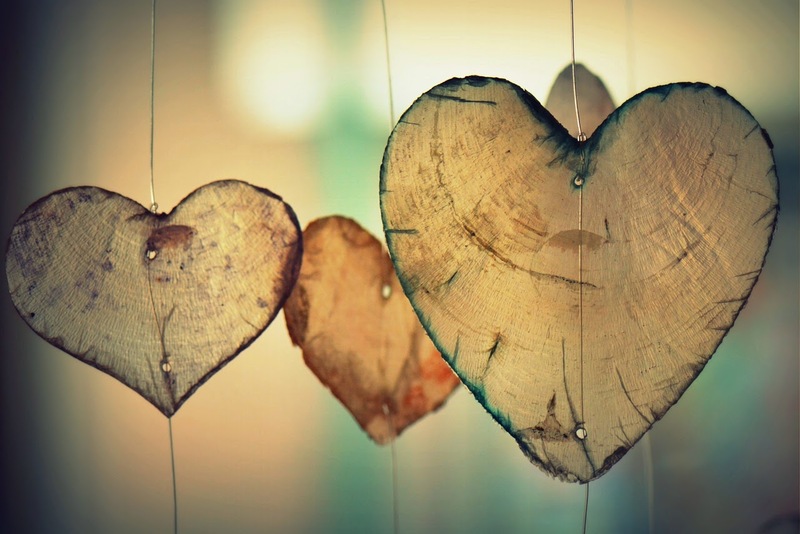 Seek feedback from a variety of people, especially those in your target reader demographic. Tweak it until it shines! 3. High number of reviews and average rating. Here's where we talk about craft and producing a well-written novel. You were afraid I wouldn't mention it, weren't you? We all hear word of mouth is what sells books. The Amazon review is one of the most powerful word-of-mouth tools you'll ever encounter. Is your book well-researched? Your readers will appreciate that and mention it in their reviews. Did you forget to tie up loose ends in your story line? You'll be called out on it, I guarantee. Potential readers often look at the reviews to see if they're willing to spend precious money and time to read your story. Hone your craft and write the best story possible, and your reviews will reflect it. How many reviews do you need? Many writers say it seems there's something "magical" about reaching twenty-five. After that, they seem to come so much easier and quicker. 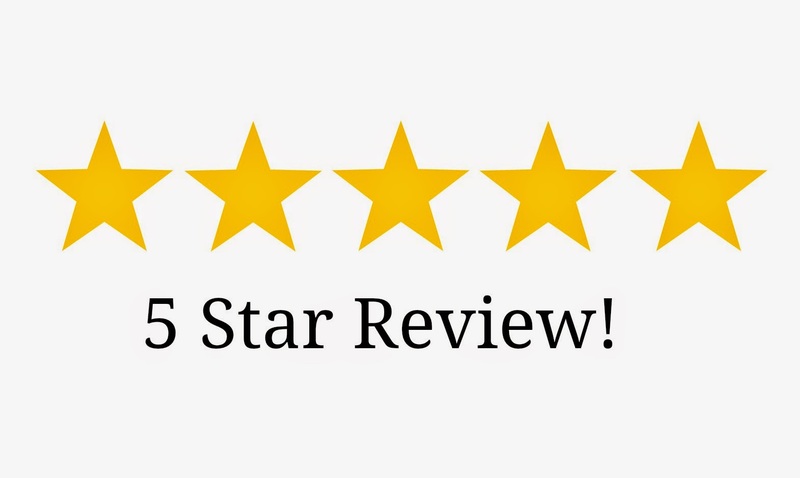 The more reviews you have with a four- or five-star rating, the more comfortable a potential reader will be taking a chance on your book. 4. Visibility (discoverability) - readers can't buy the book unless they know about it. Now we hit the meat of it. 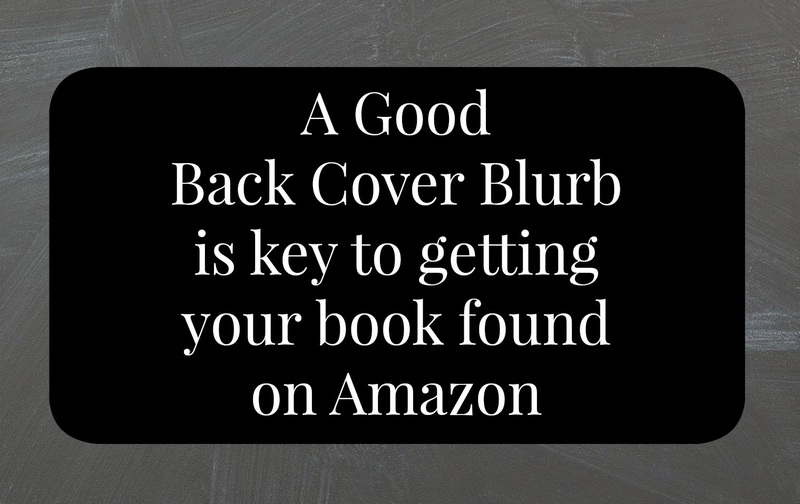 You need a good cover, good blurb, and lots of positive reviews to help the reader make the decision to buy. But how does the reader actually find your book among the millions available on Amazon? Great question! I'm going to mention the highlights here, but I encourage you to attend the ACFW-SC class I'll be teaching in Anderson, SC on May 23. I'll talk through these in detail and answer any questions. There's so much more I'd like to mention about tips and tricks for book-selling success on Amazon, but I'll have to save them for another blog post. In the meantime, I'd love to hear your thoughts on anything I've shared! Misty M. Beller was raised on a farm in South Carolina, so her Southern roots run deep. Her family has always been close-knit, and her husband and two daughters now add another dimension to her life, keeping her both grounded and crazy. 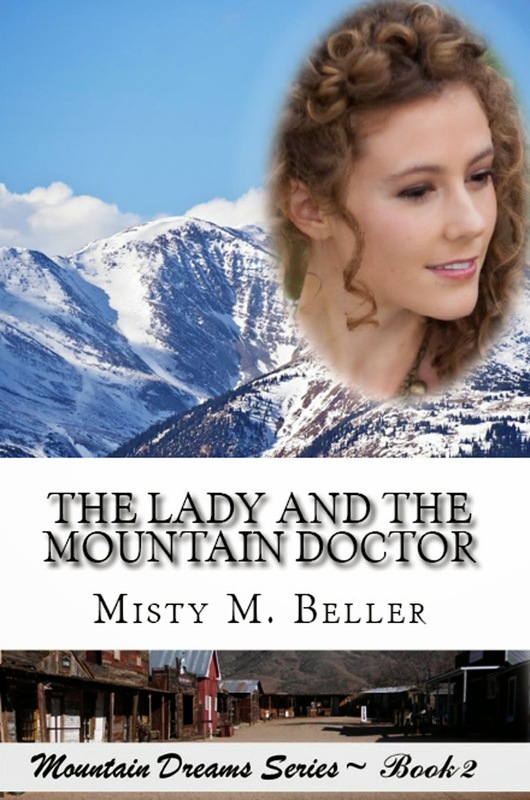 You can find Misty on her website, blog, Goodreads, Twitter, Google+, and Pinterest, and see her latest release, The Lady and the Mountain Doctor. Cheryl Wyatt shocked me in a blog some time ago when she said she tended to write a rough draft of a novel in a week. And I want to give her credit for some of her ideas I am going to share. She writes action-romance. How does she do it? She does a lot of prep work she calls plotstorming before she starts writing the rough draft. This includes doing Character Charts first on the main characters. (For her it also includes cooking and freezing a week's worth of meals for her family during her Weeklong Rough Draft Writing Spree). The Cute Meet: How will the heroine/hero meet? The Draw and the Push: What plot element will keep drawing the two together and what conflict will be prying them apart? Inciting Incident: The chaos, disaster, dilemma, or change that opens the story and becomes Scene 1/opening hook. Important Ancillary character: important character, other than hero or heroine, who is most central/important to the plot. Basic Premise: A one-sentence summary or paragraph blurb of the basic story idea. Scene Index Skeleton: (Not a chapter chart). One-liner plot points describing what goes into each major scene. (Normally, she has three scenes per chapter and around 20 chapters, so that's 60 scenes). In a romance she always know the H/H will get together in the end. Once Cheryl has all the above decided, she's ready to write her first draft in a week. Of course that’s also after she cleans her house from top to bottom and plans some activities with family members so they won’t feel she is neglecting them during her writing spree week. What about you? 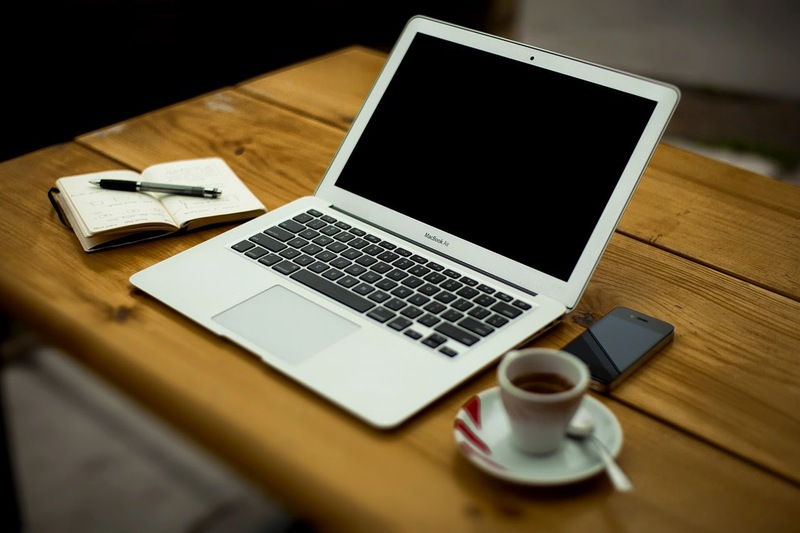 Can you use some of these ideas to jumpstart your next novel. I used some of this to write my second novel and it does work. I found it best for me to go away for a week to really be able to make progress and keep my mind uncluttered from my every day responsibilities and interruptions. Do you have a place you can hide away for a week to write? I thank God for an understanding husband who will sometimes be fine with this. Of course, we are both retired and have no little ones in the nest any more or this wouldn’t be possible. What works for you? 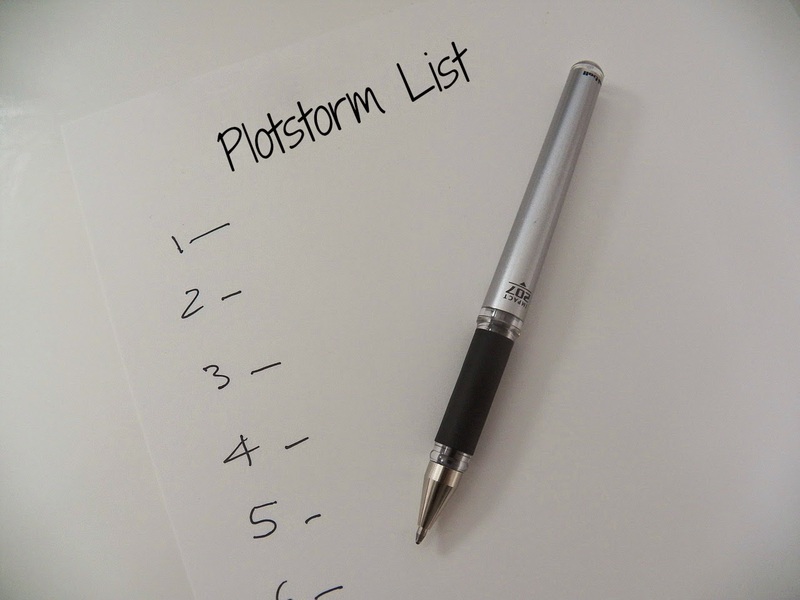 Please leave a comment and get ready to plot storm your next novel. 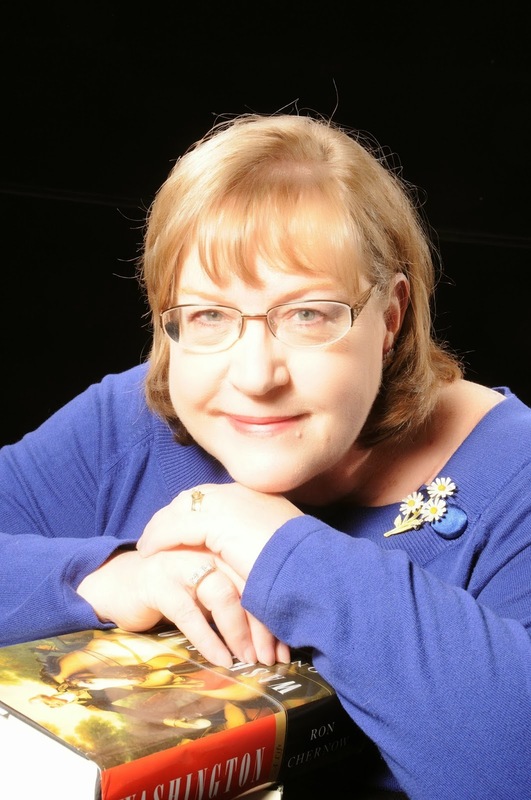 Elva Cobb Martin is president of the South Carolina Chapter of American Christian Fiction Writers. She is a former school teacher and a graduate of Anderson University and Erskine College. Decision, Charisma, and Home Life have published her articles. She has published a Bible study, Power Over Satan, available on Amazon.com, and has completed two inspirational romances for which she is seeking representation. A mother and grandmother, Elva lives with her husband Dwayne and a mini-dachshund writing helper, Lucy, in Anderson, South Carolina. She also leads an internet prayer task force praying for a Great Awakening. Connect with her on her web site www.elvamartin.com, her blog http://carolinaromancewithelvamartin.blogspot.com on Twitter www.twitter.com/Elvacobbmartin, and on Facebook. As writers, we sit a lot! As writers, we sit. A lot. When we’re on a roll, or fighting a deadline, we can sit for several hours without taking a break. While scientists don’t understand why, they say that sitting all day combined with the hours we spend in bed increases our likelihood of heart disease, cancer, Type 2 diabetes, and other chronic illnesses. In other words, our sedentary lifestyles are killing us. Include two versions: a 25-word pitch, and a longer version of approximately 500-600 words—similar to what would be on the back cover of a novel. Write the synopsis in present tense, third-person, even though your project may be first-person. Make sure you include important plot points or topics of your manuscript; you don’t want to keep an agent or editor guessing. Include the genre and the word count. 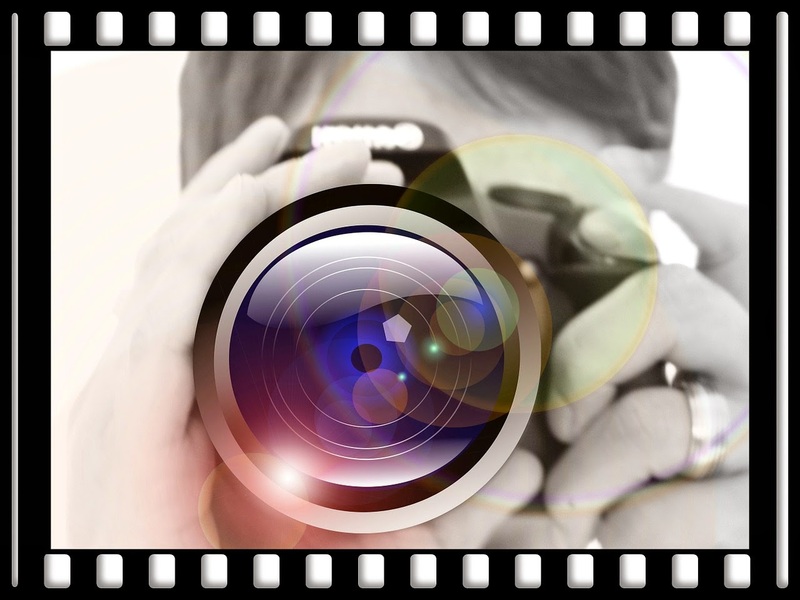 Be sure to include compelling images. Include pictures/graphics that help describe your manuscript. Professionals have differing opinions on whether to include a picture of yourself, but if you have a professional portrait, include it. 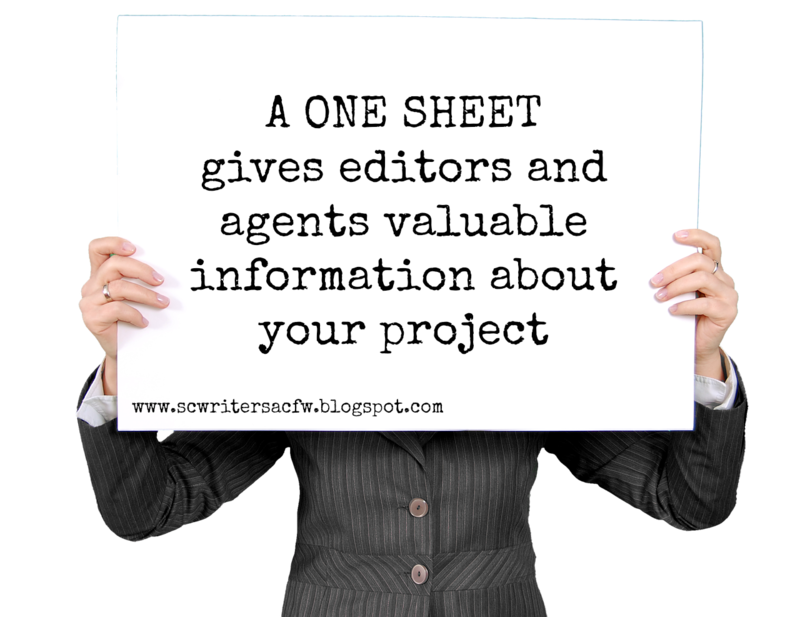 It will help the editor or agent remember you after the conference ends. Be sure to include your name, address, phone number, email address and website. If you have a blog that features your own writing, you’ll want to include it too, so the editors and agents can see samples of your writing. 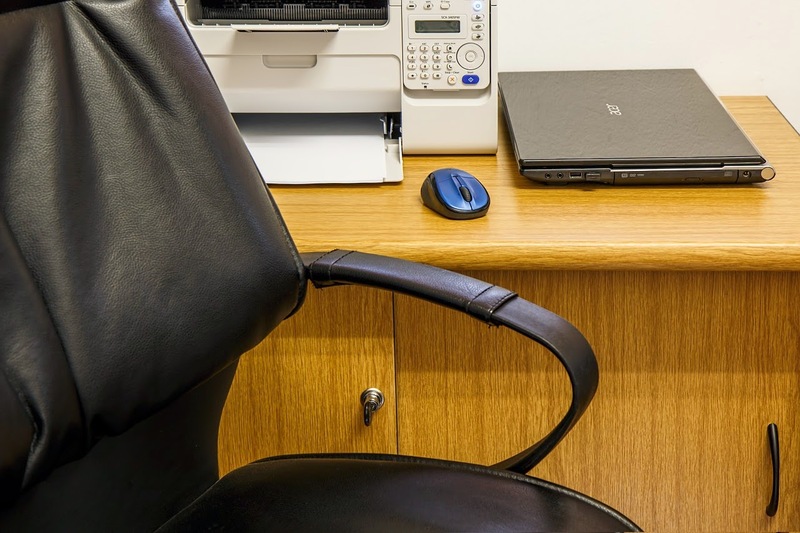 Use professional software, such as Microsoft Publisher, to create your One Sheet. Use the template for a flyer, or from the first page of a newsletter, to get the look you want. 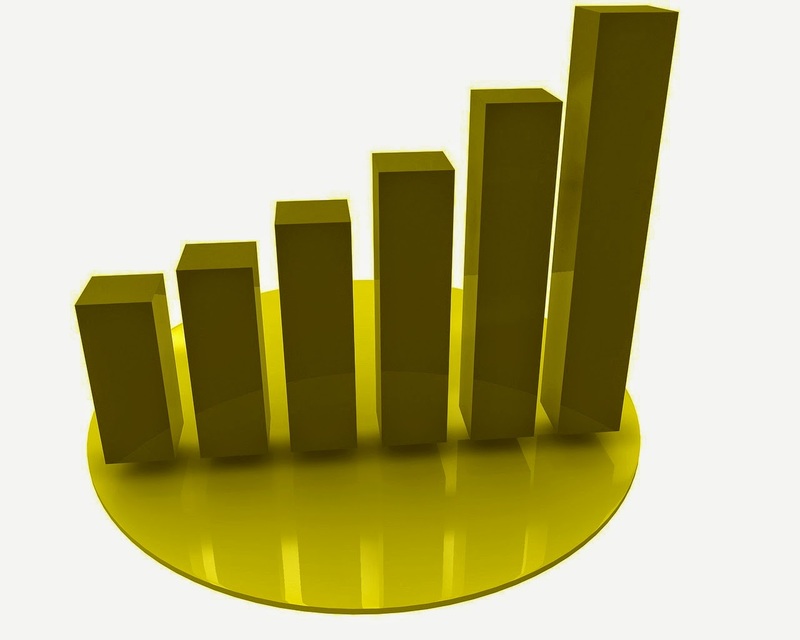 Color attracts attention, so use white paper, black font for the main text, and graphic design to add a touch of color. The use of colored paper can strike an editor as the mark of an amateur, so it’s best to avoid and use colored ink for design instead. Don’t use it for the main text—that’s another amateur flag. Use a standard font like Times New Roman, size 12, for your One Sheet, but enlarge and bold the title of your project. When meeting with an agent or editor at a conference, casually hand them your One Sheet as you make your pitch. The One Sheet is a great ice-breaker, but don’t read directly from it. Use it as a tool to get your project noticed. 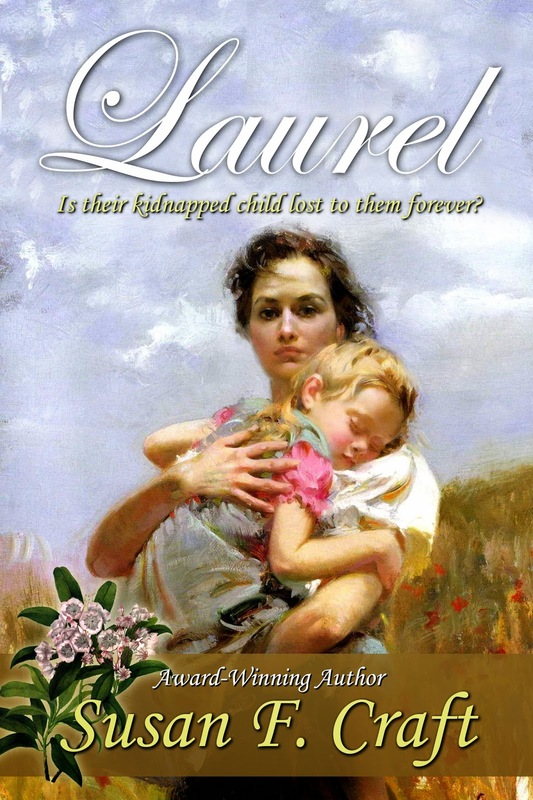 Susan F. Craft is the author of The Chamomile, a SIBA award winning Revolutionary War romantic suspense, and of it sequel Laurel, a post-Revolutionary War romantic suspense. 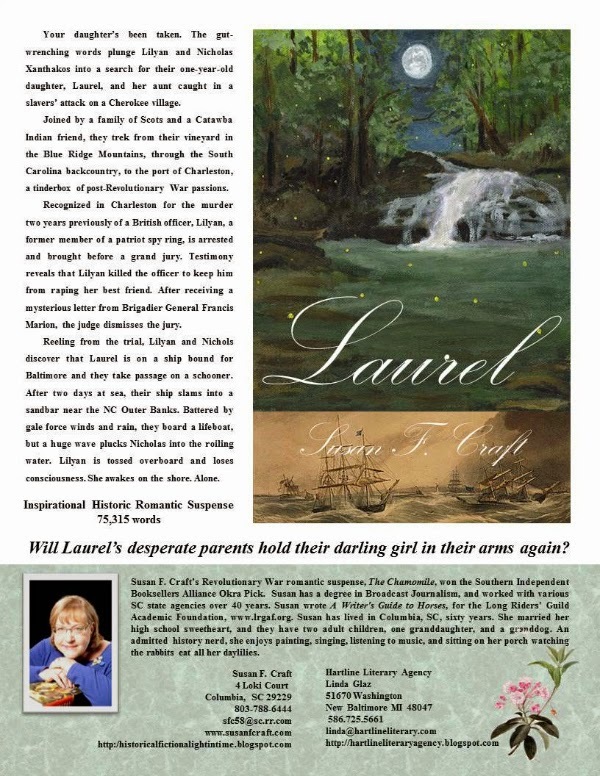 The third novel in this trilogy, Cassia, will be released by Lighthouse Publishing of the Carolinas this September.